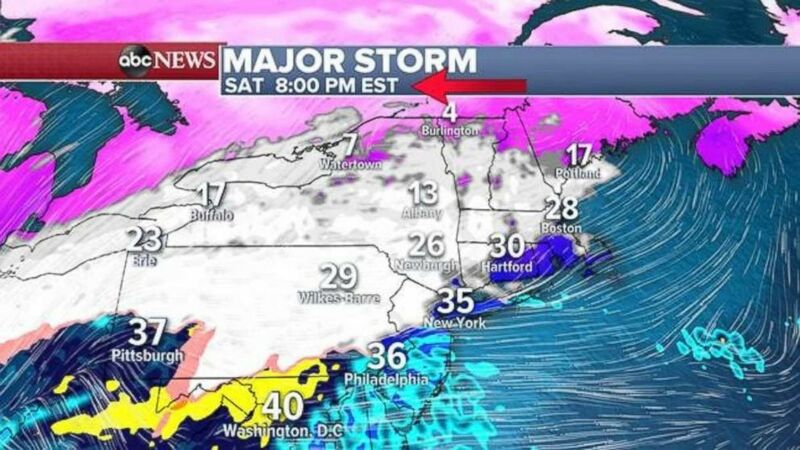 A major winter storm is set to bring heavy snow from the Midwest to the Northeast this weekend — with widespread totals of 10 to 20 inches in the interior Northeast. 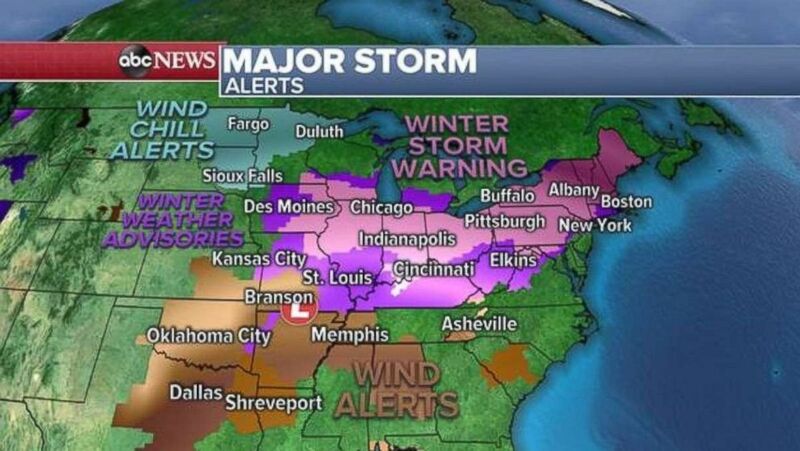 Winter storm warnings are in place from the Midwest through the Northeast on Saturday. 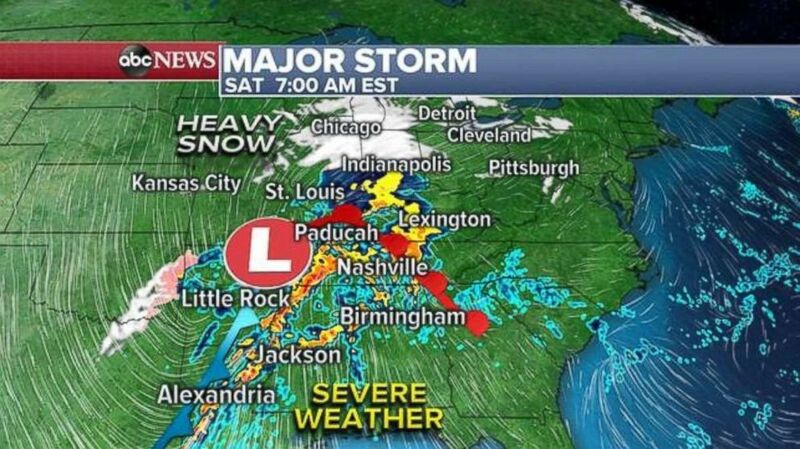 The storm is delivering snow to the Midwest on Saturday morning with severe weather possible in the South. Snow will fall across much of Pennsylvania, New York and interior New England by Saturday night. 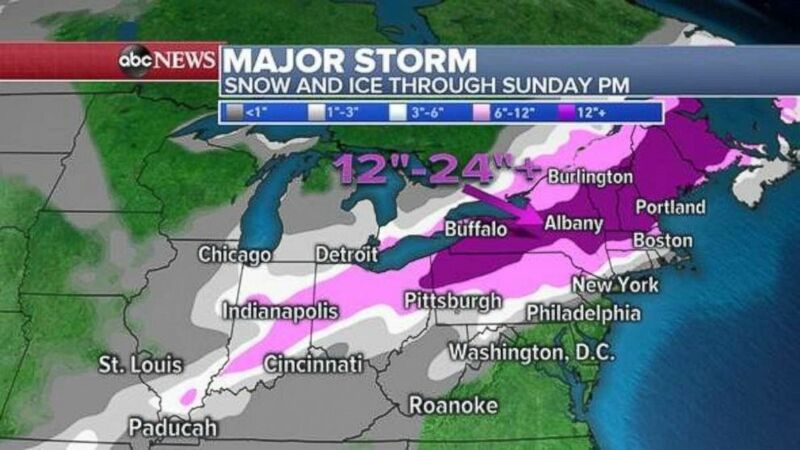 As much as 1 to 2 feet of snow is possible in interior New York and New England. 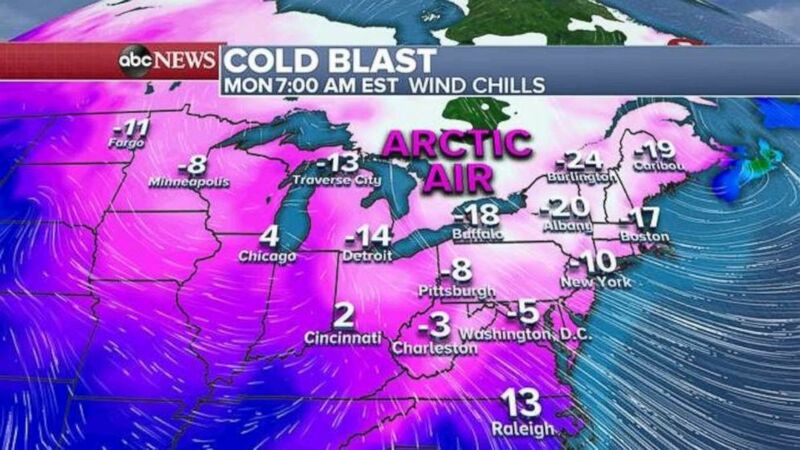 Arctic air will move into the Midwest and Northeast as the storm exits. Wind chills on Monday morning will be below zero across much of the region.